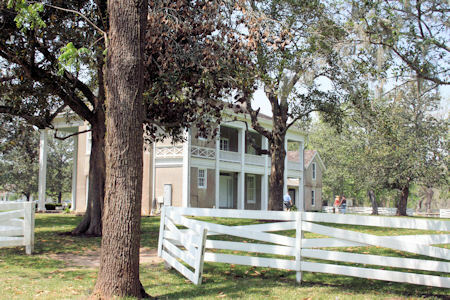 The original owner of the Varner – Hogg Plantation was Virginia native Martin Varner, one of Steven F. Austin's "Old 300", who colonized the original land grant. The year was1824 and the land grant was 4,428 acres. The Varner family brought with them at least two male slaves and began farming, raising livestock and constructed a rum distillery. In 1834, Martin Varner sold the property to Columbus Patton of Kentucky. When the Patton family moved in they brought with them a large contingent of slaves. It was this slave labor force that manufactured handmade bricks from which they built a two story sugar mill, a smokehouse, their own quarters and the plantation house that you see on the property today. 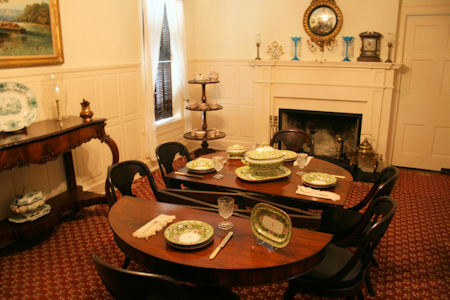 The "Patton Place", as it was known at the time, was a very successful operation until 1854 when Columbus Patton's family had him declared insane and put him in a South Carolina asylum. In 1856, during his confinement, he contracted and died from typhoid fever. The Patton estate became embroiled in a lengthy court battle among family members and the estate was not settled until 1869. At that time the family sold the property. From 1869 through 1901 the property went through many owners. The land use shifted from the labor intensive sugar cane production, to a share cropping system and the on to cattle ranching. The plantation received major damage in the 1900 hurricane. Many of the original structures were destroyed. 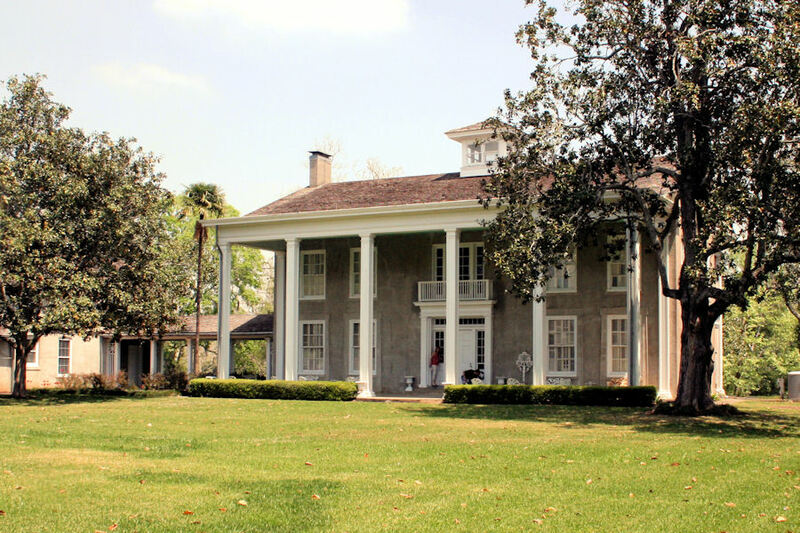 In 1901 the property was purchased by former governor of Texas James Stephen Hogg. He was convinced that the land contained a vast amount of oil. When the governor died in 1906 no oil had been found, but he stipulated in his will that his heirs not sell the mineral rights for at least 15 years after his death. Before that period was up the Hogg heirs struck oil making them all very wealthy. The Hogg children never lived at the Patton Place but they did use it for long weekends and a place to have parties in the country. They also made some significant changes to the house such as indoor toilets, etc. and these changes did change the outside appearance to some degree. 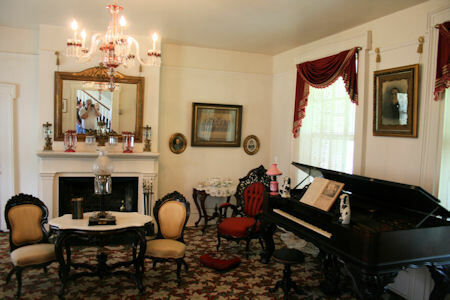 In1958 the governors only daughter and only surviving child, Ima, gave the plantation to the state of Texas but first, as she was generously known to do, she totally decorated the house with art works and furniture that reflected her father's love of history and her own admiration of George Washington and other early American patriots. When condition are right the Varner - Hogg Plantation Historical Site can be a great place to view bluebonnets and other wild flowers.